If you enjoy wine as much as I do then you will have even more reasons to be impressed by Cape Town. The ‘Mother City” and winner of the Telegraph ‘Best City in the World’ award 2017 is not only a wonder in terms of outstanding natural beauty and a land of unlimited adventure as illustrated in my last blog; it is also nothing short of heaven on earth for wine lovers. Just half an hour outside of Cape Town and you are in the Cape Winelands. Here you can experience some the best wines in the world against a backdrop of majestic mountain ranges. This is the largest winemaking region in South Africa and dates back to 1659. These vineyards have been incredibly influential in fuelling my passion for wine. Each one is unique producing wines that are celebrated the world over. In my 23 consecutive years of visiting the Cape winelands I have developed a few favourites for their distinct individual character, which is also reflected in the wines they make. Nestled in the Drakenstein valley between Paarl and Franschoek this wine farm is beautiful and in addition to the award winning wines, one of its most stunning features is the garden at the heart of the estate. As the name depicts it hales back to the mythical garden of Babylon and spans over 8 acres. 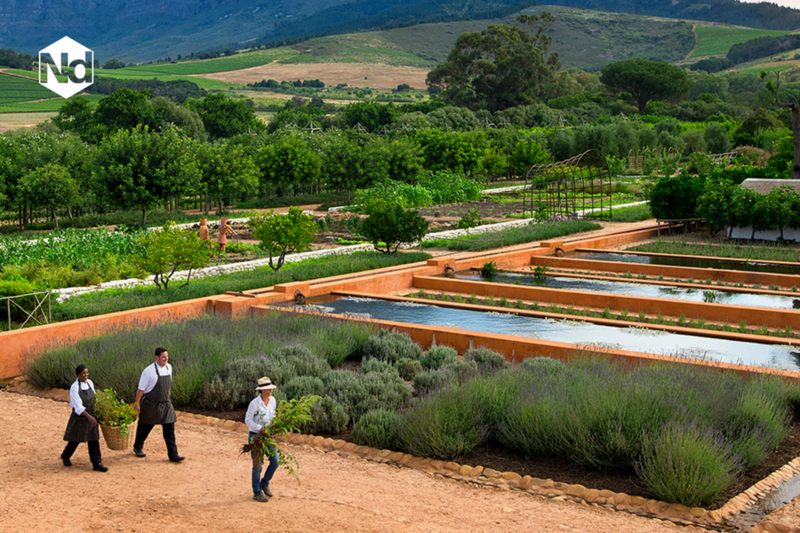 Each one of the 300 plants grown in the garden is edible, and the fruit and vegetables are harvested year round for use in the farm’s exquisite award winning restaurant Babel. The garden was inspired by those that used to supply trade ships as a halfway station on their way to Asia and Europe. The flagship wine of the estate is the Nebukadnaser and is one of my favourites. It is absolutely delicious and the whole experience starts with the bottle for this wine. Each bottle is registered and marked on the front, which immediately makes it feel extremely special. The flower on the label represents the garden; the bird represents nature and the pipe, the farmer. The wine is a Bordeaux blend (65% Cabernet Sauvignon, 30% Merlot and 5% Cabernet Franc). Open Wednesday – Sunday for day visitors. This is my absolute favourite estate because it produces my favourite wine. Meerlust is celebrated for its red wines and as I am a red wine drinker I can’t rave about this place enough. 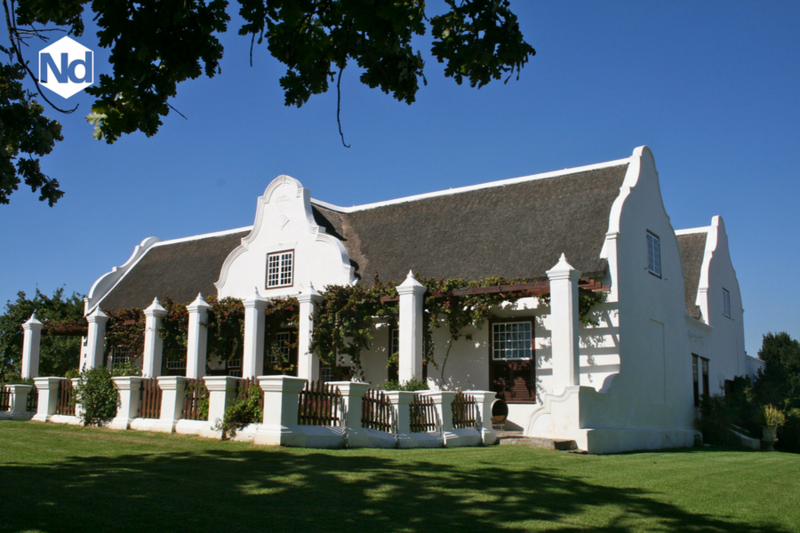 The vineyards have been in the Myburgh family since 1756, and the farm is situated 15km south of Stellenbosch. The wines are made only from grapes grown on the estate and the wines produced have wonderful complexity and character. The vineyard is blessed with a unique soil type and the grapes ripen slowly producing concentrated varietal flavours. The signature wine of the estate is the Rubicon. Inspired with a desire to match the Bordeaux blends of the French, in 1980 Nico Myburgh created a new blend in South Africa with proportions of 70% cabernet sauvignon, 20% Merlot and 10% cabernet franc. It is one of my all time favourite wines. I also am very fond of the Meerlust Cabernet Sauvignon. With its enticing vivid purple colour it is a full bodied wine of intense blackcurrant and plum reinforced by refined tannins and natural acidity. This is 100% cabernet sauvignon to reach maturation over the next 15 years. I’ve chosen these wine farms because they all have unique characters. Waterford is situated in the Blauklippen valley, in the world-renowned wine region of Stellenbosch. It boasts fragrant lavender beds and ancient citrus groves it is famous for it wine and chocolate pairing. It is a stunning estate owned by the Ord family and only half of its 120 acres are planted with vines to maintain the natural flora and fauna of the region. The cellar master is Kevin Arnold and I’m particularly partial to the Shiraz that is named after him. This delicious 2010 vintage is 92% Shiraz and 8% Mouvèdre and is aged for 26 months in used oak barrels. It’s a beautiful medium,-full bodied wine with classic dry tannins with soft aromas of mulberry, spices and red currants. For the Chocolate and wine tasting Kevin Arnold and chocolatier Henry Von Gesau have created a series of dark and milk chocolate that when paired with the wines of the estate results in a unique flavor sensation. The internationally recognized flagship wine of the estate is the ‘The Jem’, which is named after the owner of the estate Jeremy Ord. It is a wonderful expression of the soils of the Waterford Estate and is made up of a number of varietals including Cabernet Sauvignon, Shiraz, Merlot, Mouvèdre, Petit Verdot, Barbera, Cabernet Franc and Sangiovese, which are all grown on the farm. The wine is wonderfully constructed and well layered with integrated tannins to produce and elegant wine with a long lasting finish. I absolutely love this wine farm in Paarl, not only because it is beautiful, but like the goats that climb the tower at the entrance, it’s also a lot of fun. 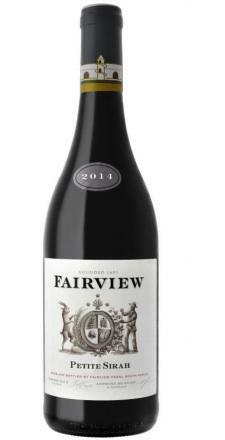 Established in 1693 the wines of Fairview are absolutely brilliant and the paring with the estate cheeses in the grand master tasting room is not to be missed. I’m a real fan of their red wines and there are many to taste, each with their own distinct character. Introduced to South African soils in 2004 the Petit Syrah, grown on the upper slopes on Paarl mountain, is a great choice for an unusual wine that is ready to drink or age for later consumption. It has a wonderful deep red colour and is an intense full-bodied wine. Its juicy tannins produce an elegant finish with lingering hints of pepper. The 2012 vintage was one the top 100 wines in South Africa in 2015. The Flagship wine is the Cyril Black Shiraz 2014, named after the son of the estate’s founder. It is produced from the finest grapes from the best sites and consists of 90% Shiraz and 10% Cabernet Sauvignon. With an intense dark garnet colour, this wine is overflowing with lingering spice flavours. I am a red wine drinker and there is no better place to taste astoundingly good red wines while soaking up the alcohol with the winemaker's lunch at Rust en Vrede. It’s wine heaven for me and the signature sirloin and chips to go with it from one of the top restaurants in South Africa, makes the whole experience almost too good to be true – but it is! Established in 1694, but since 1977, the farm has specialized on producing only red wine with a focus on Syrah, Cabernet, and Merlot. 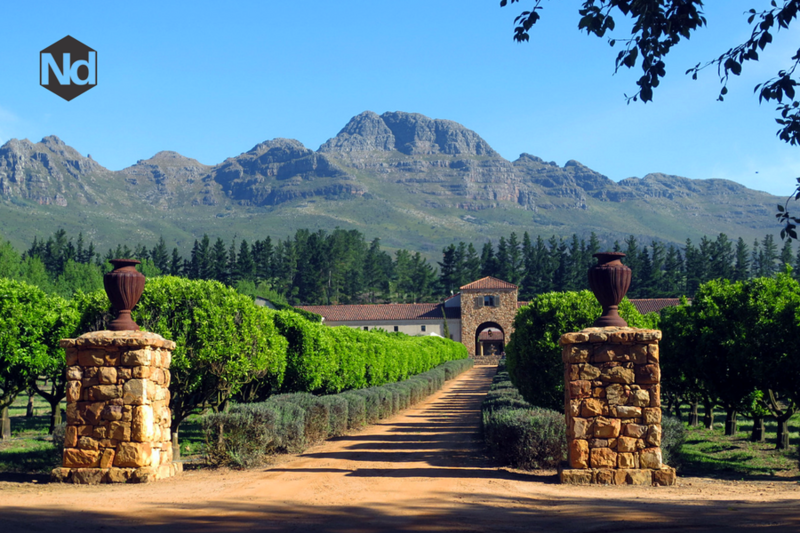 The soils of Rust en Vrede are rich and a mixture of decomposed granite from the Helderberg and Table Mountain Sandstone. The ‘Estate’ is their flagship wine and is 60% cabernet sauvignon, 30% Syrah, and 10 % Merlot. This also represents the percentages of grape varietals on the farm and that’s why it’s called the Estate wine. It is one of the top 100 wines in the world and has been 5 times. Its colour is deep crimson red with a palate of dark fruit, sweet spices, and paprika. It is one of my personal favourites. Another fantastic wine produced by the estate is the 1694. Named after the date of when the vineyard was established, this wine is an amalgamation of the single vineyard Shiraz (62%) and single vineyard Cabernet Sauvignon (38%). This wine is full of dark fruit, chocolate, and blackcurrant with savoury tannins. A few bottles of this always manage to find their way into my suitcase on the way home!